Erin here with some “bone-afide” info as Halloween is right around the corner. One thing that sets Pure Yoga Institue part from all other trainings is our Functional Anatomy course. You don’t have to be an anatomy expert to be a good yoga teacher. But you do have to speak with confidence and know basic posture mechanics like the back of your hand. And for hot yoga, you should also understand the physiological aspects of exercising in a hot/humid environment for the safety of your students. It is for all these reasons, and more, that we incorporate anatomy instruction from start to finish. That is right: 8 weeks of anatomy courses! 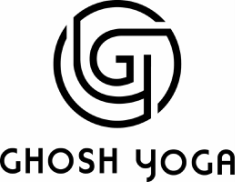 Not only do we provide the most number of hours on this category (well above the minimum requirements of OHYA), but we tailor them specifically to the postures. On top of this, Functional Anatomy lessons synch with Dialogue and Posture clinics for optimal relevancy. As the lead instructor for the Functional Anatomy course and a student of Doctor of Physical Therapy, I am passionate about the most up-to-date research on the human body. * In contributing to the core values of a yoga teacher, it is my goal to find out what trainees are already interested in with respect to anatomy, and build from there. We all have stories within our physical form that are a launch pad for discovery and connection with others. And from there we can be amazed at the efforts & transformations our students purchase on their yoga journey. *My interests include the vast research being performed on the role of the nervous system (your Brain!) in recovering from short-term and long-term pain. And on that topic, you should definitely check out the Yoga Research Conference next moth in Austin, Texas (aka the home of Pure Yoga Texas)! Scientists are discovering incredible things about how the mindful practice of yoga sheds light on the complexities of recovery in all shapes and forms. Stay tuned for more on how our Functional Anatomy course sets us apart! Having practiced the 26+2 method for over a decade, I’ve heard a number of times over the years from yoga teachers that one should not drink cold water during class. The explanation for this was that drinking cold water actually increases core temperature because your body has to work harder to cool it down and absorb it. The cold water is even sometimes referred to as an “ice bomb” as if were an assault to the system. The conclusions from research in exercise physiology show otherwise: drinking cold fluids during exercise do lower core body temperature. The effect of water consumption on the body during exercise is studied in various ways. In one design, the subject drinks fluid, has a tube inserted into their stomach before they exercise. The researchers then suction contents to see how fast it was absorbed or not. Studies show that cold fluid not lowers the individual’s core temp, but is also absorbed faster by the body. Further studies show that during exercise lasting longer than one hour sodium, chloride and carbohydrates should be added to water and that, in contrast to popular beliefs, caffeine consumption does not cause water-electrolyte imbalance or reduce exercise-heat tolerance. I interviewed Cindy at her one-year anniversary of teaching yoga full-time! Read on for some insights into her teaching life. A: Within a few weeks of practicing I knew this would be part of my life forever. I found this practice and it made me feel phenomenal— I wanted everyone to try it. I loved going to class. I had such admiration for all of my teachers. I wanted to be a part of class in a bigger way. Being on the podium is such an honor. Like all good things in life when you know, you know and I knew I wanted teach. Q: What is your favorite “teaching moment”? A: My favorite teaching moment thus far has been anytime I have family take my class it’s always so special, I love having them in the room. I also love when I have those breakthrough classes when I feel extremely connected to everyone in class. I can see everyone is super focused and working their hardest; it’s when I feel most like a teacher after a strong class – where we all gave it our ALL. Q: What is your most embarrassing “teaching moment”? A: I’m sometimes slightly embarrassed if a student catches me checking myself out on the podium during savasana, but that’s not too bad. I can live with that. Q: At your one-year teaching anniversary: how has teaching affected your personal life? A: My one major insight has been that my energy and attitude plays an immense role in the room. Learning to be self-aware of the energy I’m putting out and the mindset I want to have has helped me slow down and look at life through a more positive perspective. Q: How has teaching affected your yoga practice? A: “You are your own best teacher” has never rung truer to me at this moment. Before training I liked relying on the teacher to give me a certain correction even if I had already heard it. I relied on my teachers to push me and help me find my maximum. Although I still love a tough class and a tough instructor very much, I’m finding my own drive. Q: After four years of practicing, are there things you still struggle with? A: Yes! A real struggle of mine has always been getting to the hot room. I battle with choosing between hanging out with friends in the evenings or taking class, staying up late or practicing early in the morning. Taking 90+ minutes in a 105f degree room plays with my conscience. My struggle is getting to class, but my struggles inside the room changes every class. Q: What was your favorite part about training? Least favorite? A: I have many favorites; being a 2 min walk away from class, practicing twice a day, talking yoga all day everyday, learning about the human body, learning different things about myself, practicing different styles of yoga, living in downtown Austin for 9 weeks, being a 10 min walk from Whole Foods, and fully immersing myself into a passion of mine -all favs. My least favorite was leaving Austin – it is such a cool city. And leaving Pure Yoga Texas in Austin – it’s the most passionate and inspiring yoga community out there. I also miss not bonding with my yoga sisters. We had a rough start, but ended up being supportive friends whom I think highly of. I shared a special experience with them and I’ll always cherish our time together. Q: What is your advice for future trainees? A: It helps to study the dialogue before training but don’t stress it too much. If you apply yourself during the 9 weeks you will learn it. Stay present during training, enjoy the daily doubles, and invaluable lectures. 9 weeks of Pure yoga is mind-blowing. Most importantly every day counts towards the end goal of graduating and your outcome as a teacher, so give it your all everyday. Check out Cindy’s bio and find where she’s teaching at https://pureyogainstitute.com/graduates/2017-cindy-lemus/.